2 Milly isn't the only one to complain about the video game company. 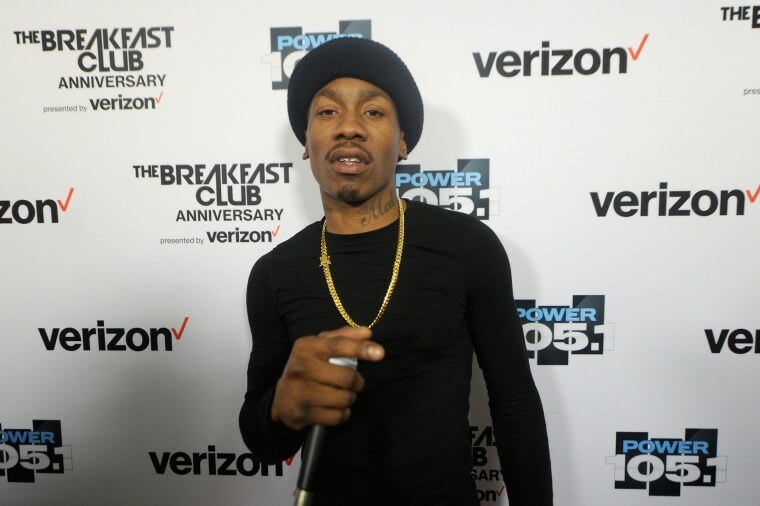 LOS ANGELES — Brooklyn rapper 2 Milly is suing Epic Games over its alleged misappropriation, use, and sale of his "Milly Rock" dance in its popular battle royale game "Fortnite." The lawsuit was filed in a California district court on Wednesday. The Milly Rock was featured in a 2014 music video of the same name. Epic added a similar dance emote called "Swipe It" during "Fortnite's" Season 5. You can see both in the videos below. "This isn't the first time that Epic Games has brazenly misappropriated the likeness of African-American talent. Our client Lenwood 'Skip' Hamilton is pursuing similar claims against Epic for use of his likeness in the popular 'Cole Train' character in the 'Gears of War' video game franchise," said David L. Hecht, partner at Pierce Bainbridge. "Epic cannot be allowed to continue to take what does not belong to it." "Fortnite" currently has over 200 million registered players and makes millions of dollars off of downloadable content like characters skins and dance emotes. But, 2 Milly said he was never compensated for the use of his Milly Rock dance. "They never even asked for my permission," he said. "I am thrilled to have David Hecht and his team at Pierce Bainbridge representing me to help right this wrong." 2 Milly is not the first person to accuse Epic of stealing their moves. Recently, "Scrubs" actor Donald Faison expressed some sour grapes over the developer's use of a dance he created for Bell Biv DeVoe's song "Poison." Chance The Rapper has also criticized Epic on Twitter, saying, "'Fortnite' should put the actual rap songs behind the dances that make so much money as emotes. Black creatives created and popularized these dances but never monetized them. Imagine the money people are spending on these emotes being shared with the artists that made them." Epic Games is also not the first developer to use the Milly Rock. It showed up in 2K Sports' basketball sim "NBA 2K18," according to Insider (which has a good breakdown on Epic's history of dance appropriation and the 2 Milly situation here). Insider spoke to an intellectual property lawyer, who said copyright law doesn't protect individual dance steps or simple routines, but it does protect what's called "choreographic work." The U.S. Copyright Office views individual steps the same way it would individual colors or words, she said. Variety contacted Epic Games about the lawsuit, but it declined to comment.